Correction: In a previous version of this article, The Daily stated that Haney Hong ’03 had retired from the U.S. Navy. In fact, Hong remains a officer in the U.S. Navy Reserve. The Daily regrets this error. 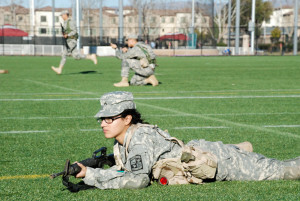 While the Pentagon’s decision last month to lift its ban on women serving in combat has garnered national attention, the announcement will also directly affect the female cadets of Stanford’s Reserve Officers’ Training Corps (ROTC). Women have been serving unofficially in combat roles throughout the wars in Iraq and Afghanistan, but their work often went without the credit and career advantages that official recognition would have permitted. According to The New York Times, the Pentagon reported that “hundreds of thousands of women have deployed in those conflicts,” with over 800 wounded and 130 killed. Lauren McCune ’15, an ROTC cadet, expressed excitement about the possibility of serving with an infantry platoon–something that would not have been possible just a month ago. “The one thing that makes a big difference to me is that I’ll actually be able to be the S2, the strategy [and] risk-assessment officer attached to each platoon, and now I could get to be with an infantry platoon,” McCune said. When she graduates from Stanford and becomes an active officer in the military, McCune will assume the role of Second Lieutenant, the lowest officer rank, with the ability to seek a position in any branch she chooses. Hong, who served in the Navy during the integration of women into submarine service, spoke from personal experience about the difference that the ban’s lifting will make. The decision to welcome women into combat roles has its opponents, McCune acknowledged. Each branch of the military is responsible for putting together its own plan for the policy’s revision, with requirements and exceptions stipulated for each position. On the whole, however, Whidden said that he doesn’t expect the transition to be too contentious. 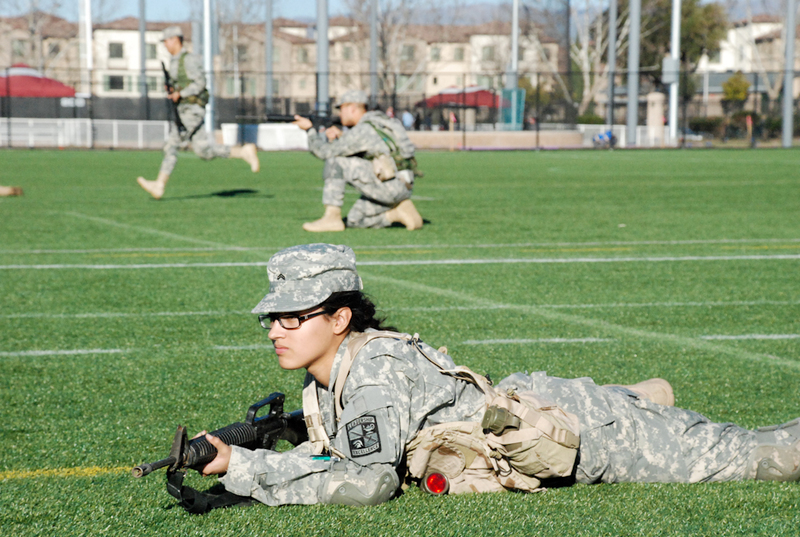 If the transition does go smoothly, McCune and her fellow female ROTC cadets can look forward to seeking combat roles when they graduate from Stanford. “This lifting the ban on women serving in combat makes it so much more clear to me that this is what I’m supposed to be doing right now, that I’m supposed to be out there helping serve my country and give back what I’ve been given, so I’m really excited about it,” McCune said.